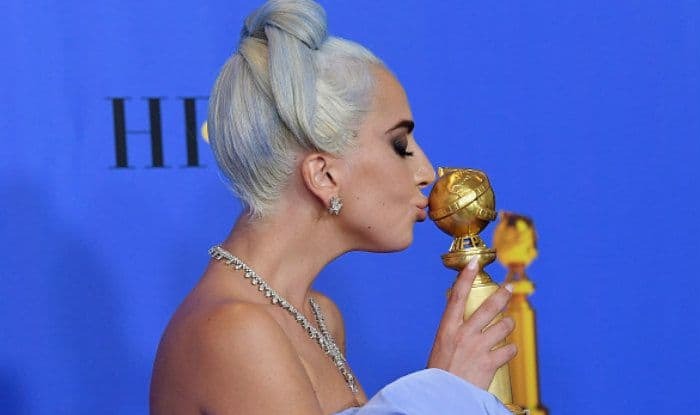 Shallow from A Star is Born won the Best Song trophy at the Golden Globe Awards 2019. Lady Gaga took over the stage to accept the trophy and couldn’t stop tearing up a bit. The 32-year-old accepted the Best Original Song trophy at the 76th annual Golden Globes on January 7. While receiving the award, she mentioned that it’s difficult for a woman to hold up on her own in the music world. Tears welled up her eyes even before she moved up to go on the stage as Taylor Swift and Idris Elba announced Shallow as the winner. 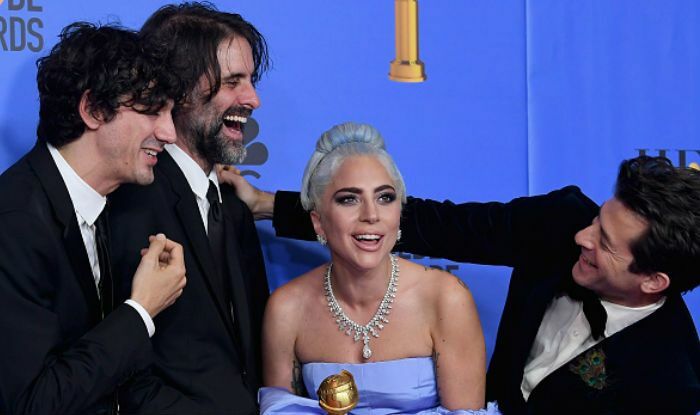 Lady Gaga, who wore a stunning Valentino blue gown at the ceremony, said, “As a woman in music it is really hard to be taken seriously as a musician and as a songwriter”, while on the stage alongside Mark Ronson, Andrew Wyatt, and Anthony Rossomando. She has also been nominated in the Best Actress category for her performance in A Star is Born. The film has been nominated in as many as five categories at the prestigious awards ceremony: Best Actor, Best Actress, Best Motion Picture, Best Director and Best Original Song. Before she amazed all with her presence at the ceremony inside, Lady Gaga walked the red carpet garnering applause for her experimental style. She channelised the Judy Garland’s A Star is Born look from 1954, by recreating the dress at the red carpet. What stole the attention was that matching hairdo. The A Star is Born actress wore a powder blue coloured Valentino gown with a huge trail. From wearing a meat dress to a black polythene outfit and sky-rocketed heels, Lady Gaga has always walked a red carpet like a pro. However, her fashion choices have been evidently simpler lately. Even this periwinkle dress is just so-not-Lady-Gaga but hey we aren’t complaining! The actress-singer worked every inch of that dress and the addition of that hair style is a pure winner.